The National Institute of Mental Health based in Maryland, US, is launching a study to see if a strain of Streptococcus bacteria may cause children develop a particular condition with OCD-type symptoms. 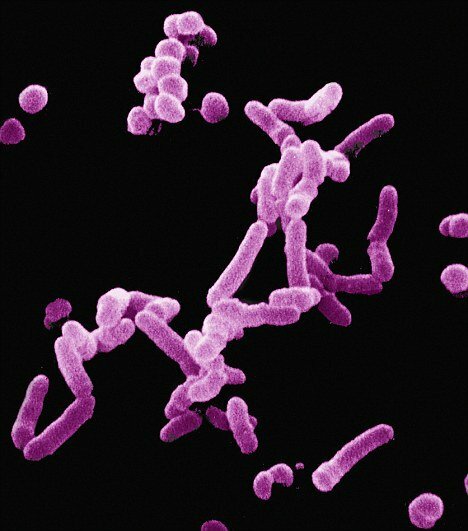 The National Institute of Mental Health (NIMH) study will see if there is a link between Streptococcus bacteria and a condition called Pediatric Acute-onset Neuropsychiatric Syndrome (PANS). PANS causes children and teens to suddenly develop symptoms or abnormal eating behaviors, along with other psychiatric symptoms without any known cause. Scientists think that after it detects a Streptococcus infection, the body’s immune system responds by creating antibodies which sometimes mistakenly attack the heart, joints, and brain. In children, this attack on the brain can cause the bundle of nerves called the basal ganglia to become inflamed. This, in turn, can lead children to develop, seemingly overnight, severe symptoms of Obsessive Compulsive disorder (OCD) and anorexia. According to the NIMH, children with the condition can appear terror-stricken, suffer extreme separation anxiety, shifting from laughter to tears for no apparent reason and regress to temper tantrums, “baby talk”, or bedwetting. Other symptoms include undergoing sudden deterioration in school performance or learning abilities and exhibiting sensory and motor abnormalities. The NIMH hopes the study will improve diagnosis and treatment. It also wants to find out if there is an alternative cause of PANS apart from Streptococcus bacteria. One of the most common examples of OCD symptoms is an irrational fear of germs and dirt. Other obsessions include worries about security issues such as having left the cooker on or the house unlocked, a need for everything in life to be ordered with extreme precision, and a fear of making a mistake. Such obsessions make the sufferer feel anxious. In an effort to ease that anxiety they take actions such as washing their hands every few minutes or going around the house checking everything is locked. Many sufferers know they are being irrational but feel powerless to stop. The NIMH has now launched a project to find such cases and improve diagnosis and treatment, including a study to see how well IVIG, a human antibody treatment used to dampen autoimmune reactions, reverses the syndrome. It also wants to find out how many such cases are related to strep infections, or if there are other causes. The NIMH has now put out guidelines for diagnosing Sydenham’s chorea whenever it appears, whether or not the child is known to have had a recent strep infection. Tracking all cases this way should allow researchers to investigate causes more thoroughly, as well as diagnostic signs, and treatments.